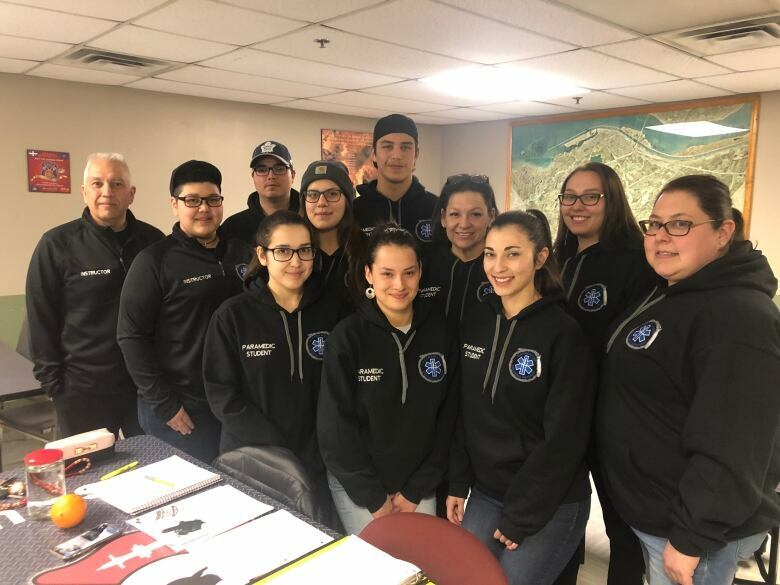 Ten Mohawk students are spending their evenings in training to become paramedics at the Kahnawake Fire Brigade. Quebec's revamped certification process doesn't meet their needs as a volunteer service, say community leaders. The year-long program is the first of its kind in Quebec, training 10 paramedics at the Kahnawake Fire Brigade (KFB) to meet the growing needs of its ambulance service. "You're helping your own people, and for a lot of us here, that is the bottom line," she said. 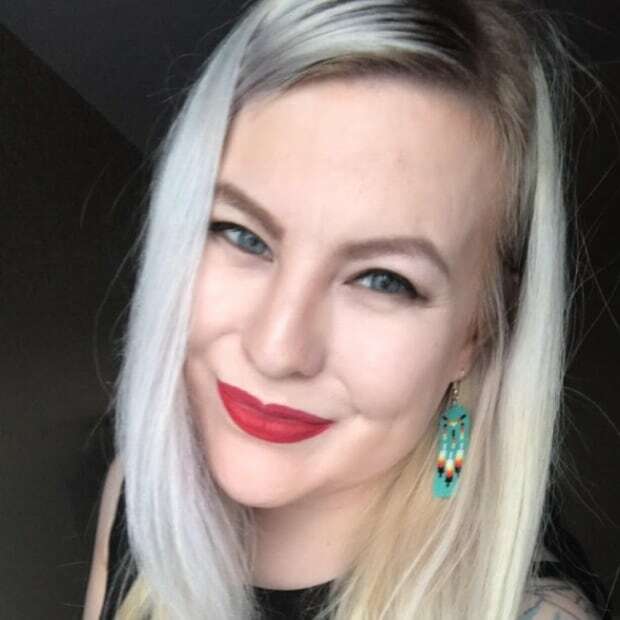 Her father Lloyd Phillips and older brother Tanner Phillips, along with the KFB's medical director Dr. Aurel Bruemmer, developed the program to fill a demand for new primary care paramedics from Kahnawake. 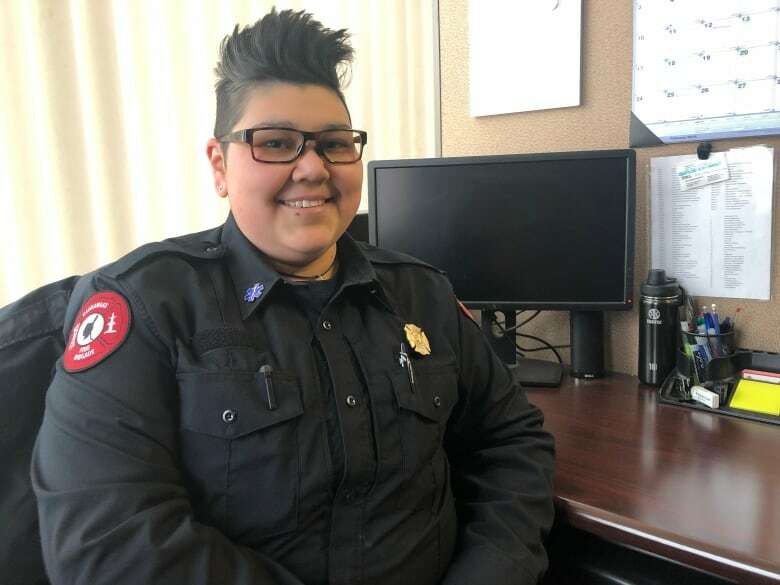 "It's very difficult to ensure proper coverage," said Lloyd Phillips, the director of Public Safety at the Mohawk Council of Kahnawake and one of the program's instructors. He said the ambulance service has been functioning with a pool of between 12 and 15 paramedics over the past few years, and it has caused a strain on staff to operate two ambulances 24/7. "People working very long hours — 60, 70, 80 hours a week in station or on-call — wasn't abnormal and it still isn't," he said. The service hasn't had a new paramedic from the community since 2010. That year, the province made a Quebec Diploma of College Studies in pre-hospital emergency care compulsory to become certified as a primary care paramedic. The only program available in the area offered in English is at John Abbott College. 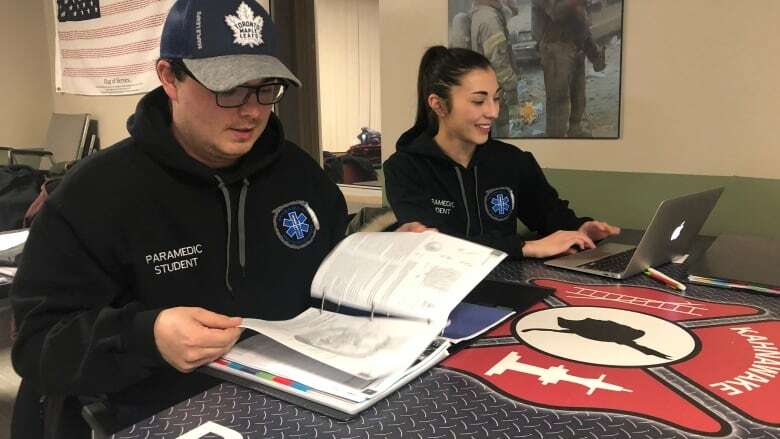 Tanner Phillips, co-ordinator and lead instructor for the Kahnawake Paramedic Program, said the full-time three-year college program doesn't meet the needs of the brigade's volunteer service. "It just doesn't work with the way our system is here," he said. "We can't expect people to go to school full-time to become a volunteer." The language barrier doesn't help either, he said. Once completing the program, students have to take a licensing exam in French when the majority of people in the community are anglophones. The KFB's program is designed for people who are already working full-time and who would be interested in volunteering for ambulance shifts during the evenings and on weekends. Classes take place twice a week during the evenings. For trainees that means balancing their day jobs, families, and program requirements. "It's definitely a lot but it's for the betterment of my family and the community, so it's worth it," said Walter Whitebean, one of two men in the program. 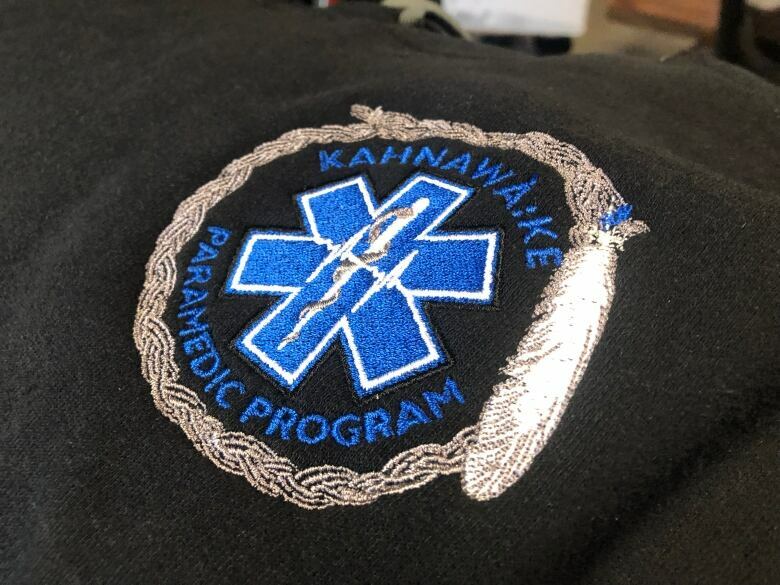 Tanner Phillips said in addition to teaching the core competencies of being a paramedic, the program will prepare trainees to respond to calls unique to the Mohawk community. "You're going to be treating your friends, your family, and your neighbours. Having people from the community makes it that more special," he said. "There is more of a dedication and more of a drive because you are treating your own people, For me, I'm training these people who could treat me or my family, so that brings it down to a very personal level." 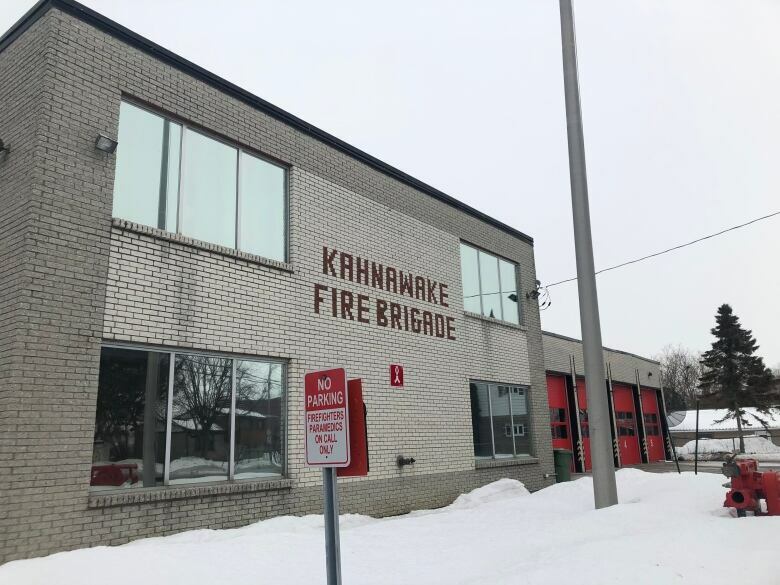 The Kahnawake Fire Brigade's ambulance service has been operating since the early 1970s and has been recognized by Quebec's Ministère de la Santé et des Services sociaux since 1986 to receive subsidized funding from the province to operate one ambulance. The second ambulance, operated on a volunteer basis, was added in the early '90s. 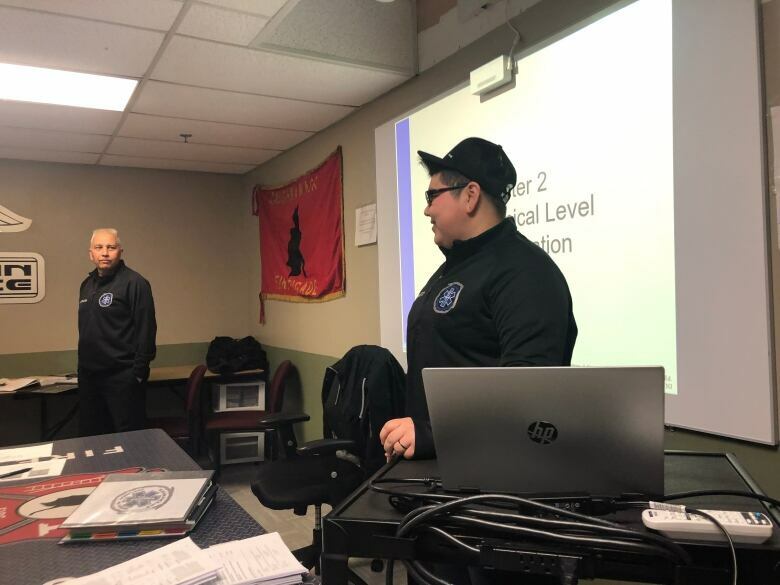 During that time, new members received Emergency Medical Technician (EMT) training in New York state on a part-time basis followed by additional in-house training by the brigade to receive Quebec's primary care paramedic certification. Tanner Phillips was the last KFB member certified that way. There hasn't been a new member from the community certified since and they've had to fill the void by recruiting non-Indigenous paramedics. It's not their first choice. "We want our people taking care of our people," said Lloyd Phillips. "We know our community best, the cultural aspects of our people, and we want to make sure we keep that level of care that you don't get anywhere else." The need for more Mohawk paramedics was brought to the attention of the previous provincial government but a formal agreement was never signed prior to the October election. Nadine Gros-Louis, director of communications of the minister responsible for Indigenous Affairs, said in an email that the KFB can train firefighters as first responders in collaboration with the Centre intégré de santé et des service sociaux of Montérégie-Ouest and their regional medical director, as well as provide ongoing training of any current paramedics. "This is an acquired right," she said. Any further negotiations and implementations of sectoral or comprehensive agreements are brought up at a formal discussion table between the province and Mohawk Council. "The Québec government intends to pursue such discussions to enable the population covered by sectoral agreements to receive the appropriate services from qualified personnel," said Gros-Louis. Lloyd Phillips said regardless of whether the province gives its stamp of approval, the program is supported by the Mohawk Council. "We're asserting our own authority jurisdiction to take care of our own health care. First Nations have a right to control their own health care, and that's exactly what we're doing here," he said. "We're showing that we're able to take care of our own and doing what's necessary to ensure that we have proper ambulance coverage for our people."